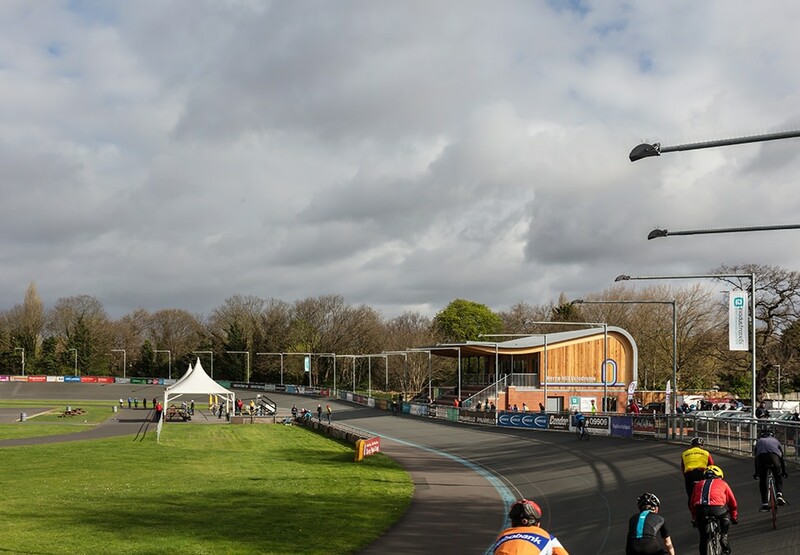 Historically the pride of the national track cycling community and the venue of the 1948 Olympic cycling events, the original 1891 Velodrome gradually fell into disrepair and by 2010 a campaign was commenced to safeguard its future. 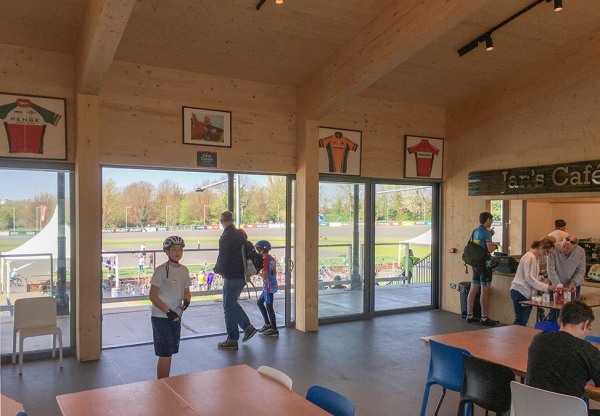 The new pavilion, which is similar in scale to its predecessor, boasts a load bearing timber structure but retains a sense of historical continuity by utilising 6 of the original 1890’s decorated cast iron columns to support the grandstand roof. 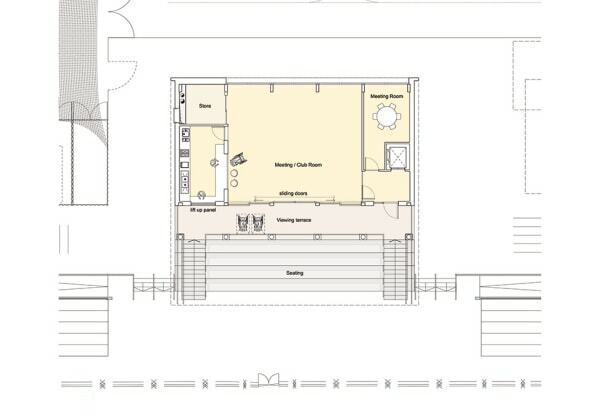 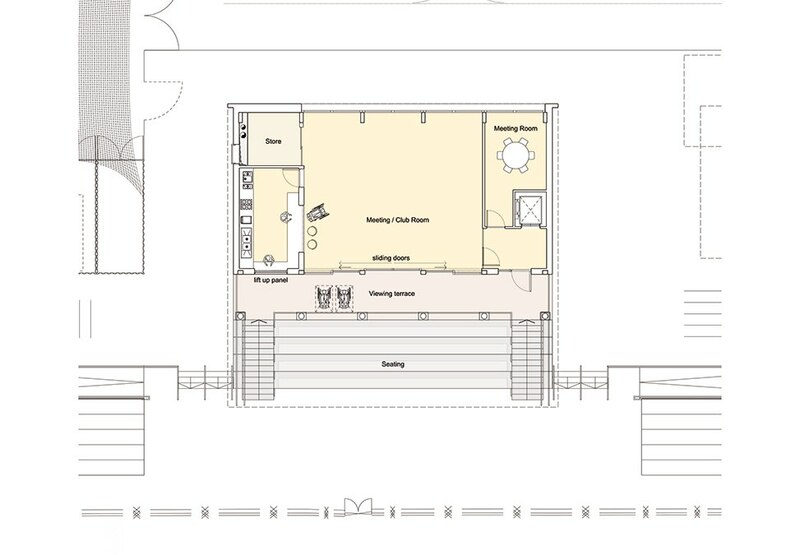 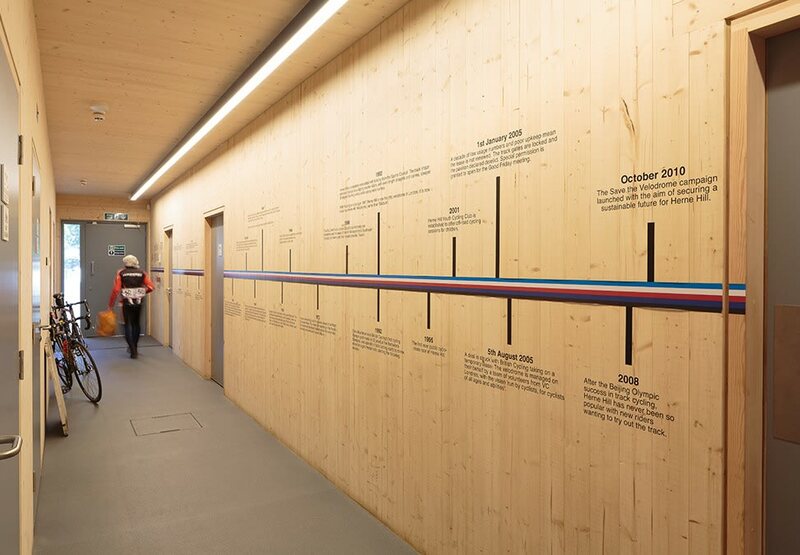 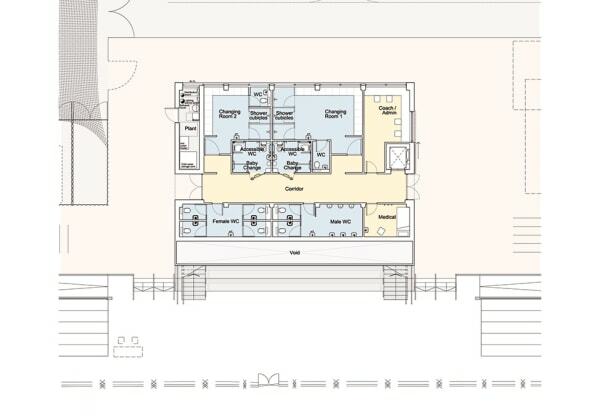 The new accommodation comprises changing rooms, first aid room, toilets, coaches’ office, and a generously sized club room overlooking the entire site at first floor. The upper level is accessed from the top of the grandstand and provides panoramic views around the track and has a kitchen, servery and meeting room which can also be hired out for community use. 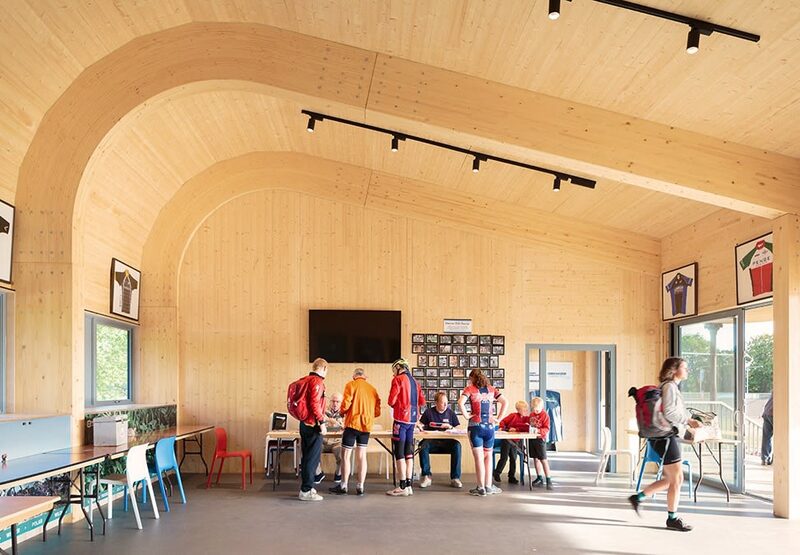 Behind the pavilion a tensile fabric canopy between the bike storage units creates a versatile year-round covered space for outdoor activities. 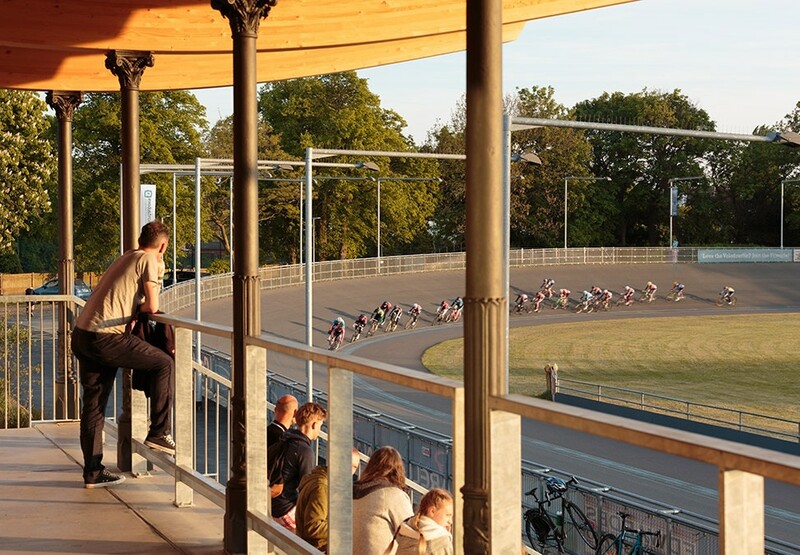 In tandem with the physical renovation, the long-term future of this illustrious sporting venue is now secured for a further 99 years thanks to the support of the land owners The Dulwich Estate, and their working relationship with British Cycling.